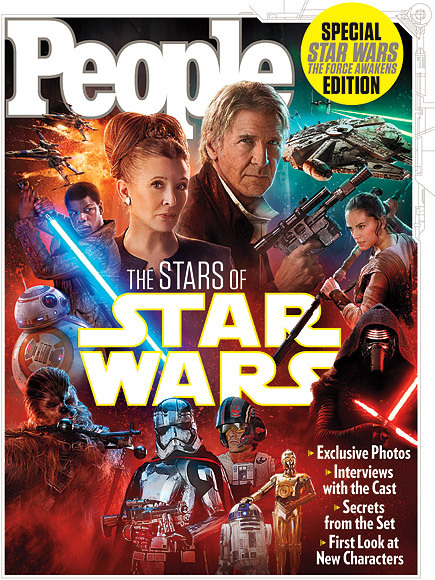 People magazine hit news stands in the U.S. today with their Star Wars: The Force Awakens Special Collector's Edition, unveiling the first exclusive images of Carrie Fisher's real-life daughter Billie Lourd in the film. 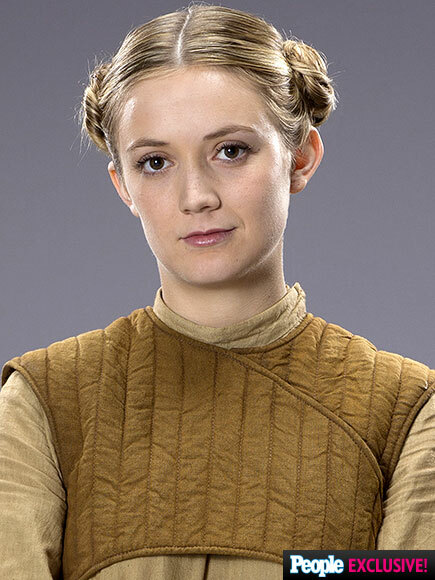 Though she seems to have inherited Princess Leia's hair buns, she has said she's not playing Leia's daughter in the film. The actress also revealed her obsession with the original movie growing up. "I made [my mom] watch it at least once a week – and on special occasions I would make her get in a lightsaber fight with me," Lourd, 23, says. "Let's just say the more trained Jedi usually won." Lourd says her mother's role was an inspiration to her. "When I saw the [original] movie for the first time, I noticed my mom was not only equally as confident and strong as the men, she was one of the most confident characters in the entire film," Lourd says. "It made me realize women are just as powerful as men and that we can truly do anything they can – if not more!" Lourd co-stars on the FOX TV show Scream Queens and graduated from NYU last year. Her father is CAA super agent Bryan Lourd so the showbiz force is strong with this one. 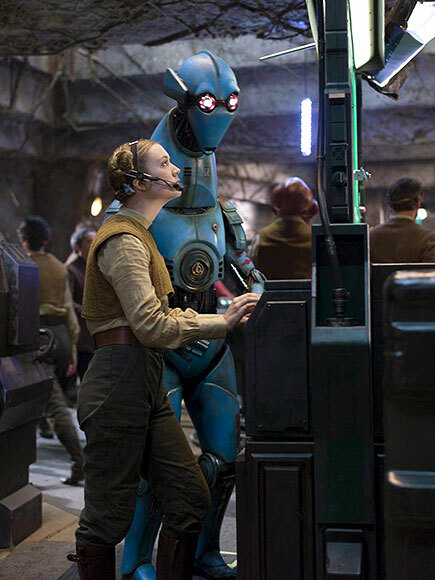 We can't wait to see what she brings to the intergalactic proceedings when Star Wars: The Force Awakens opens here on December 17th.